Belizean write and author Elroy Johnson launched his second book, A BAAN DE II. 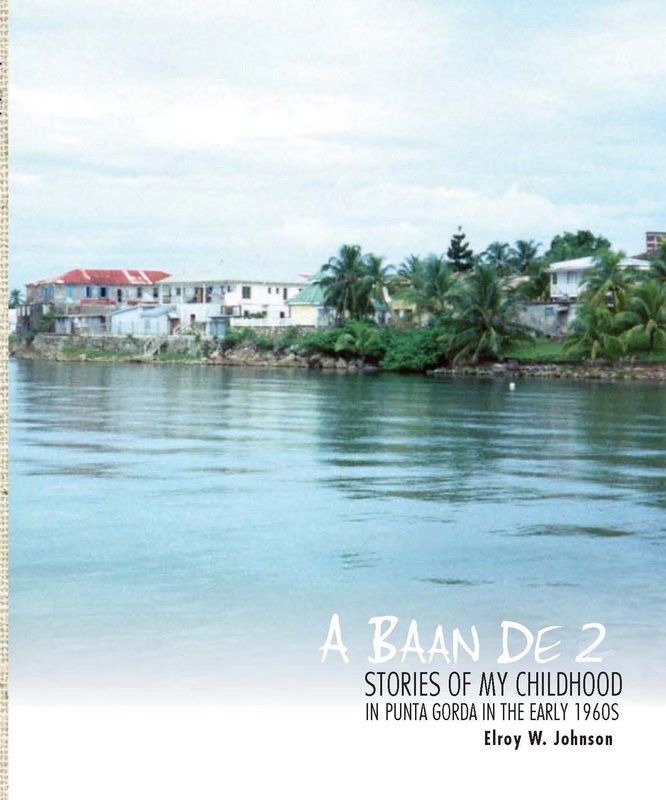 Two years ago, Elroy started writing short stories about his life experiences in his home town of Punta Gorda, Belize, with A BAAN DE, translated as “I was born there.” His recent book A BAAN DE II is a continuation of its predecessor, with another layer of socio-historical perspective added to unearth the past. He writes, somewhat nostalgically, about life "bak enna dem days" (in those days) in Punta Gorda, entertaining and delighting those who are acquainted with its history. Both books are framed as a collection of short narratives to serve as tangible reminders of a time in Punta Gorda, affectionately known as PG, when life was simple, serene, unhurried, yet richly rewarding. Whether it was going to the plantation to fetch firewood for the home fires, attending Sunday Mass in his Sunday best, or just playing or hunting for maclallah (lizards) in the neighborhood with his friends, his specific observations were mere glimpses of those rare occasions when life in PG was simple but valuable to his growth and development. Elroy Johnson was born in Punta Gorda, where he spent most of his childhood in the neighborhood NiHi-Hollywood, then just called NiHi. He attended Saint Peter Claver Primary School. At an early age, he was an outstanding student, passing his primary school leaving examination, college entrance, and government scholarship from Std. V. He went on to attend Claver College, where he continued as an outstanding student. He was well-liked, admired, and respected throughout his college years. Elroy left PG in the early 1970s to live in Belize City. He quickly joined the Public Service, and after a number of years, he migrated to the United States. There he continued his studies at California State University in Fullerton, where he earned dual Master's degrees in Wastewater Engineering and Environmental Science. Elroy currently works for the City of Los Angeles as a civil engineer. He loves to read and write and dabbles with poetry in his free time. Johnson frequents his native town PG and is actively involved with community projects and campaign efforts to motivate the youths in NiHi-Hollywood so that they can achieve their goals. He has offered a number of scholarships and educational help to deserving students in the community. Elroy plans to return home to serve his community. A BAAN DE II can be purchased by contacting the author. He can be reached at elroywjohnson@aol.com. The price of the book is $18.00, which includes postage (continental US). Check or money order will do, and can be mailed directly to him. So, write to him! He'll respond back right away with his mailing address. thanks 4 info on mrs barrow also on elroy and spot light of the month. Thanks for posting Linda, I never heard of the book and perhaps never met Elroy Johnson....then again I may have. I grew up in PG during the 70's and have nothing but enormous gratitude for the town and people that shaped me. I am very curious about reading about PG back then. I know the Johnson family from PG...who knows...I may have met Elroy....I want to extend my congratulations for bringing his work to fruition. MIDDLE EAST WRAP:POISED TO ATTACK IRAN?